Dealing exclusively with paranthas, available in seven flavours, Totaram’s Paranthas is for those of you who can’t get enough of stuffed paranthas. Pick from the usual aloo and gobhi paranthas or experiment a little with their jalapeno & cheese number or their achari paneer option. Non-vegetarians have a couple of meaty choices too, with the chicken cheese and the mutton kheema paranthas. This place is more of a stop for a quick bite. Don’t come here if you’re looking for a full-fledged meal. Since the place has opened up recently, they may have a couple of inaugural offers you can take advantage of. Don’t forget to wash all of it down with a tall glass of lassi, which is the perfect drink to pair with these wholesome paranthas. 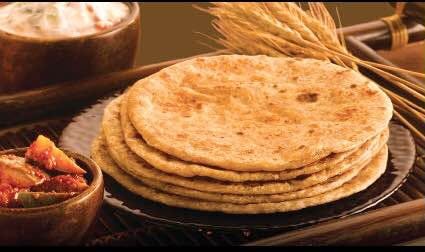 Prices start at INR 90 for the paranthas and a 200ml glass of lassi is priced at just INR 55.